We provide an easy-to-read dashboard view of your portfolio performance that is informed by constant monitoring across all of your assets. 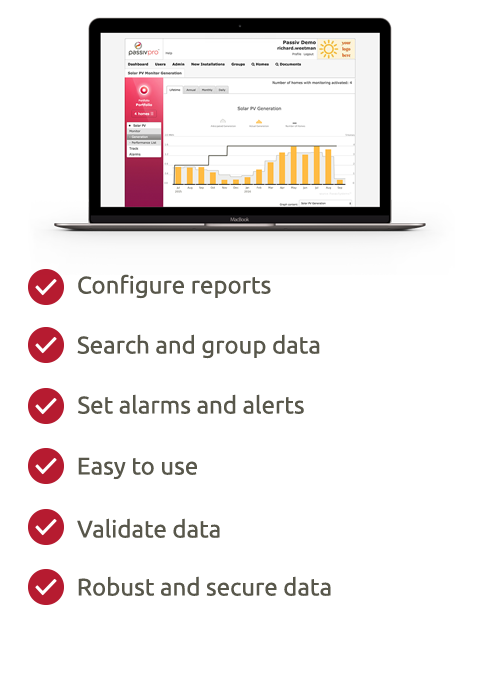 Customisable reports allow you to quickly and efficiently tailor information for a variety of needs, including advanced performance reporting that can compensate for weather, searching and grouping. Support for dynamic reporting includes the ability to set alerts and outage notifications for system failures.